Saturday after breakfast Michael and I headed out to the Gorge to do a hike. It was a gorgeous day, expected to be in the 90’s here in Portland. Not having a gym membership is most definitely easier here in the summer time. 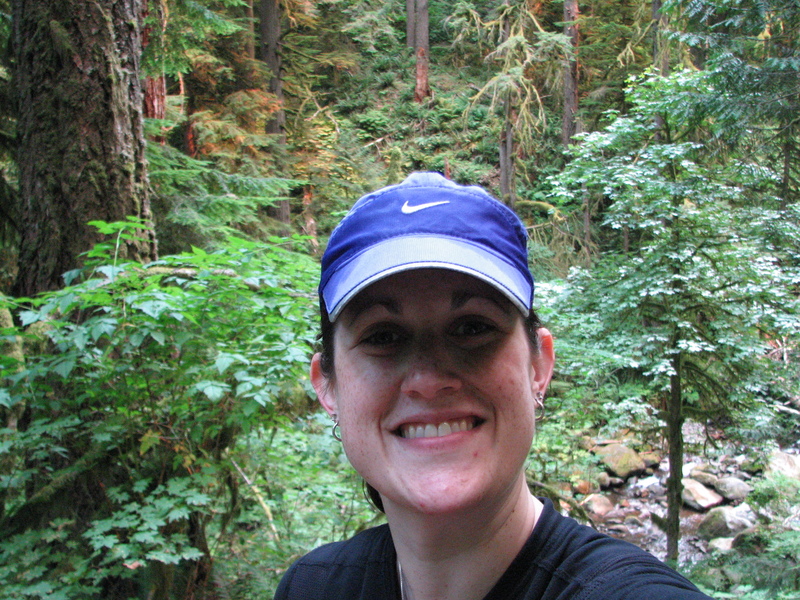 I do so much more outside: biking, running, hiking. 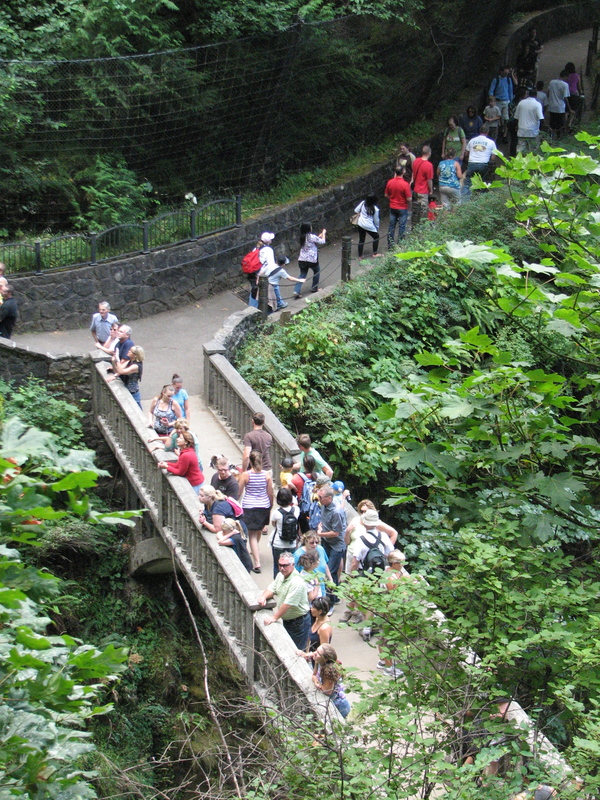 Hiking up Multnomah Falls was hardly ideal for a holiday weekend. 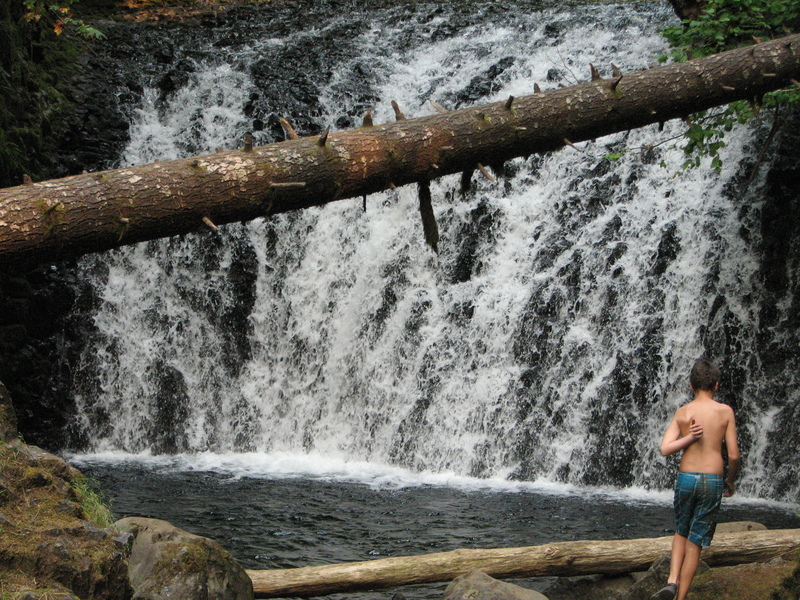 But it was the closest route to get to Larch Mountain–a hike we’ve tried to do for years and never done. 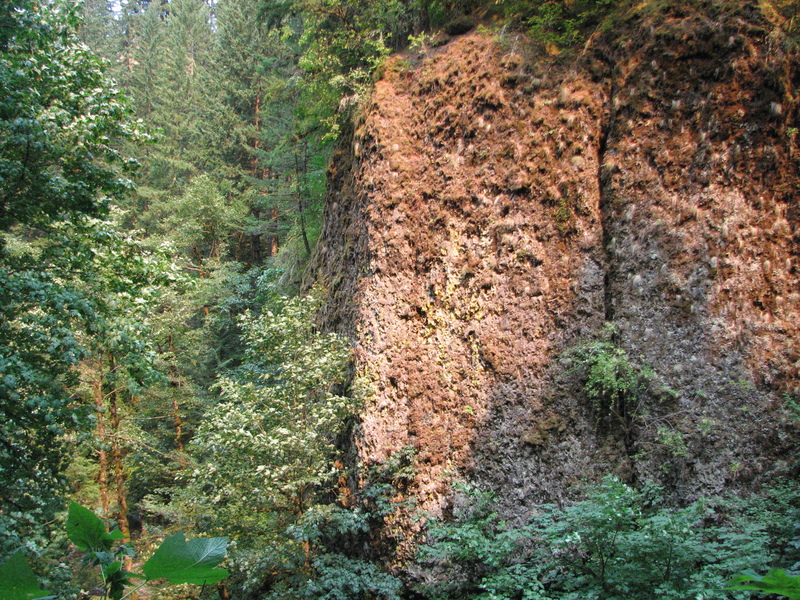 The great thing about hiking near Multnomah Falls is that all the hikes connect to each other. You can take your pick between them, they are all free, and all beautiful. 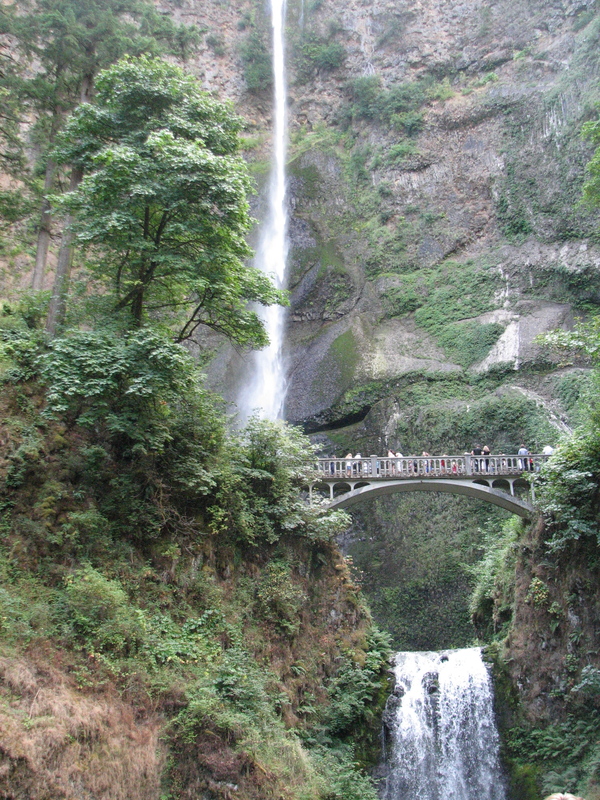 Multnomah Falls is the most popular. It’s the tourist trap. It’s always, always, always crowded. And it’s crowded with non-hikers. The reason for this? 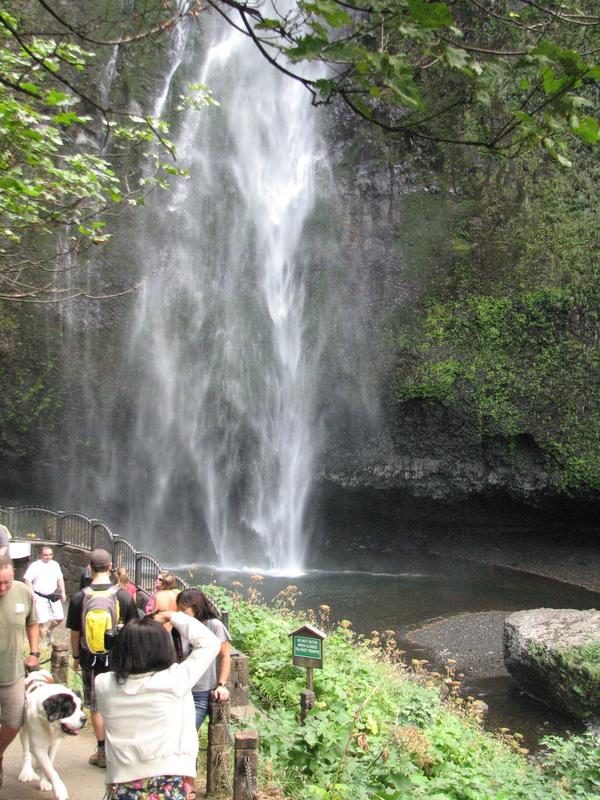 It’s right off the freeway, it’s majestic waterfall is a sight to see, and the trail is paved. No matter that it’s a straight up climb, intense and strenuous. Nope. It attracts all ages, shapes and sizes. I always see people hiking up it in inappropriate footwear (crocs, flip flops, sandals, SLIPPERS, HIGH HEELS!!) and they are immediately spotted as the non-hikers. 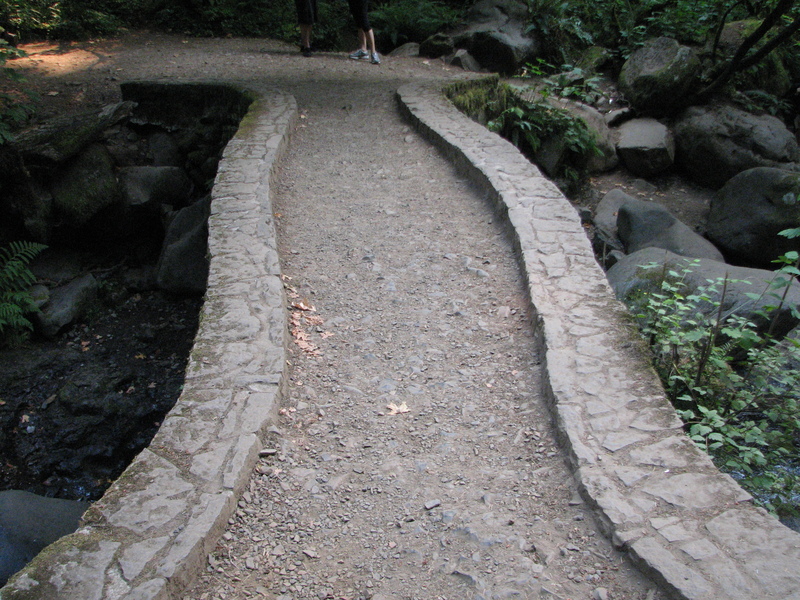 Our intention was to get to Multnomah Falls early in the morning before the crowds appeared but that didn’t happen. 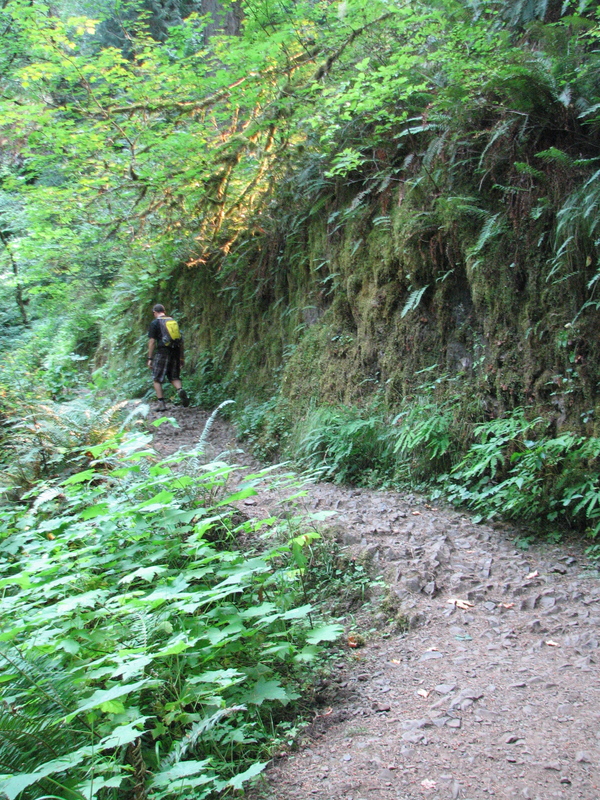 So we had to battle through the throngs of people who don’t know trail etiquette (or common sense), to get by them. The hike was much less annoying once got passed the bridge in front of the base of the Falls. 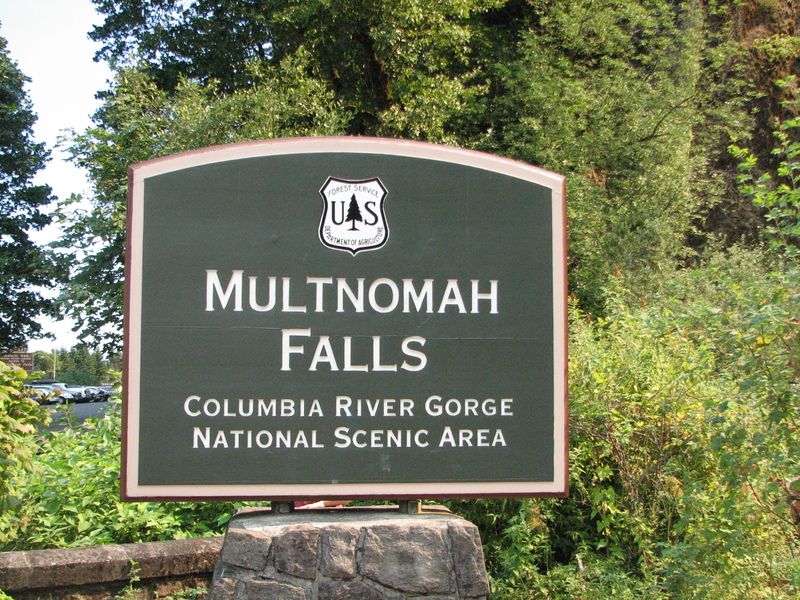 Multnomah Falls is a mile long, straight up. But most people don’t know that it continues on after that. 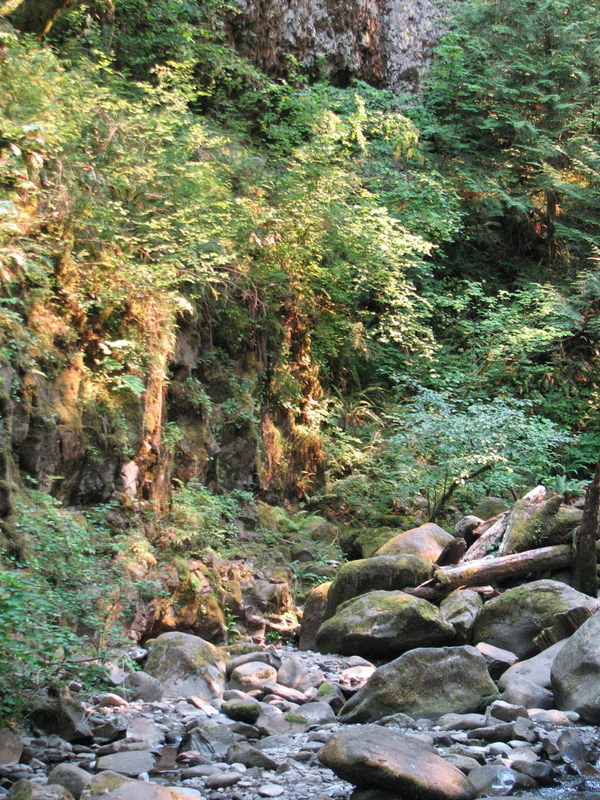 Larch Mountain Trail connects to the top of Multnomah Falls and it’s a much more beautiful, scenic hike. 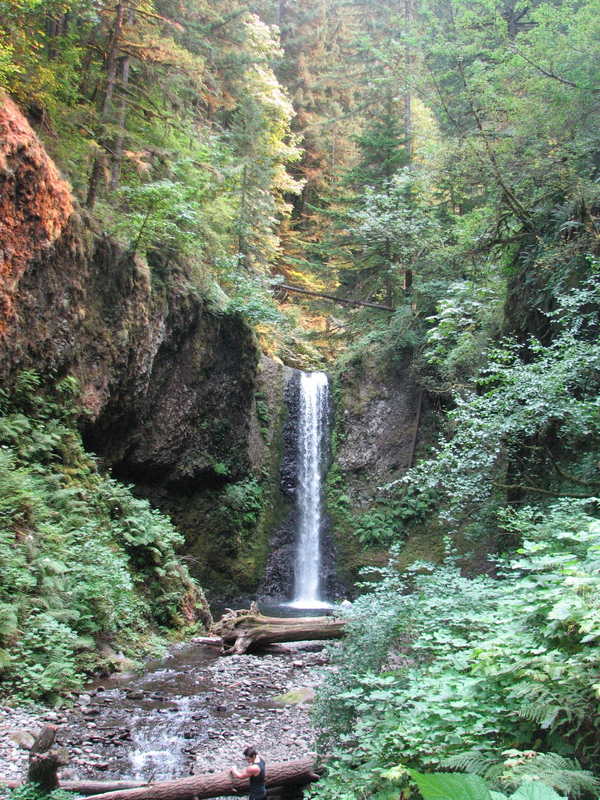 We hiked up Multnomah Falls on Saturday without stopping. No stops for water breaks, nothing. It was the first time we really just blazed a trail to the top. Since it was so busy, neither of us has any intention of stopping to “enjoy the view.” We’ve seen the view a million times, we just wanted to get to our real hike: Larch Mountain. 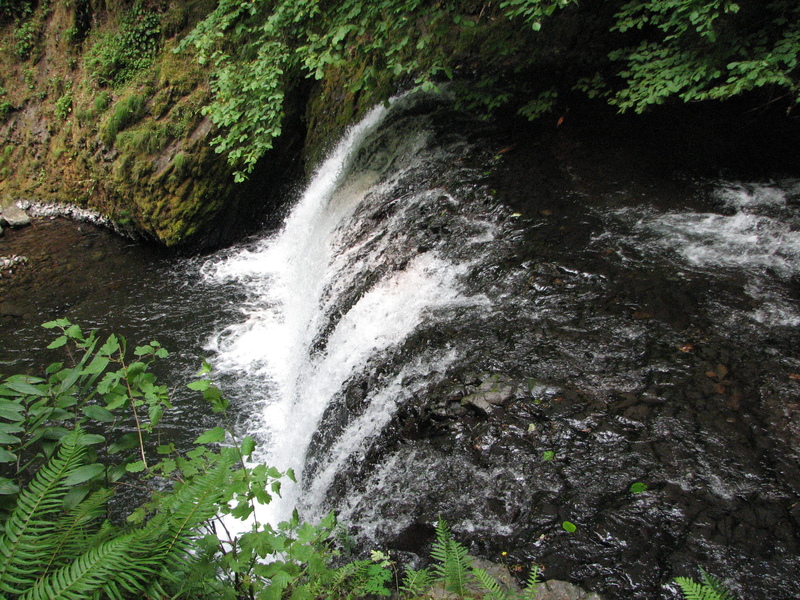 Multnomah Falls was just the warm-up. We made it to the top in 26 minutes. 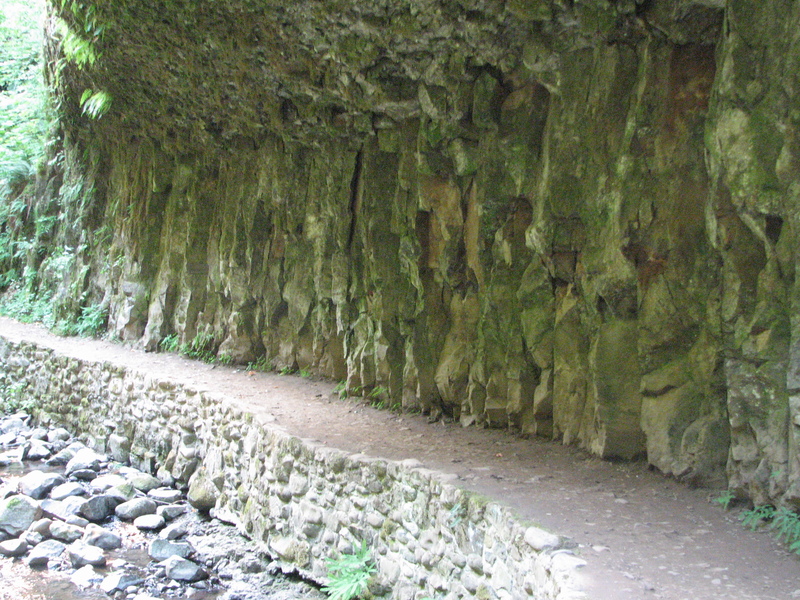 Once we left the paved trail and throngs of people, the hike turned quiet and contemplative. There were hardly any people on the Larch trail. We passed a few other hikers but for the most part it was just us. 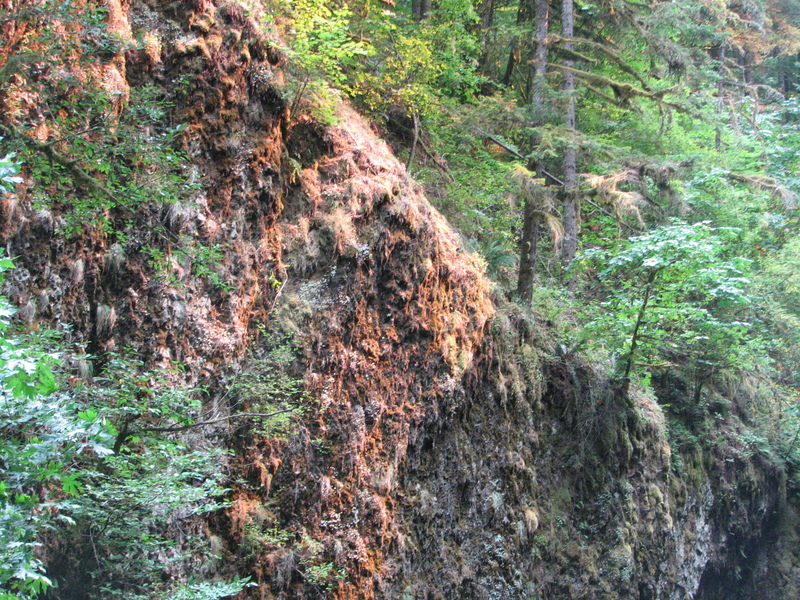 The terrain of the trail changed radically. It was dirt and big rocks instead of pavement. The hike was steep, too. It was a good little workout. 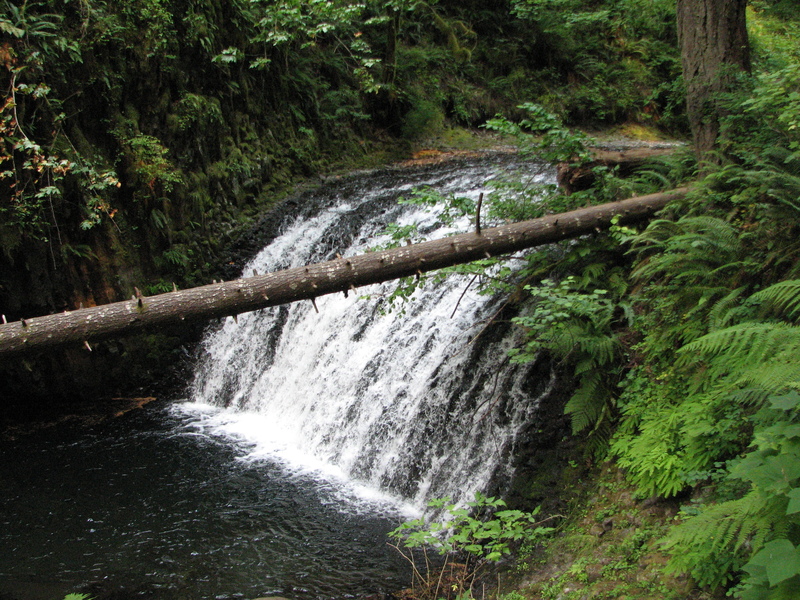 There was no end in sight, just a winding trail along a beautiful creek with a bunch of waterfalls. 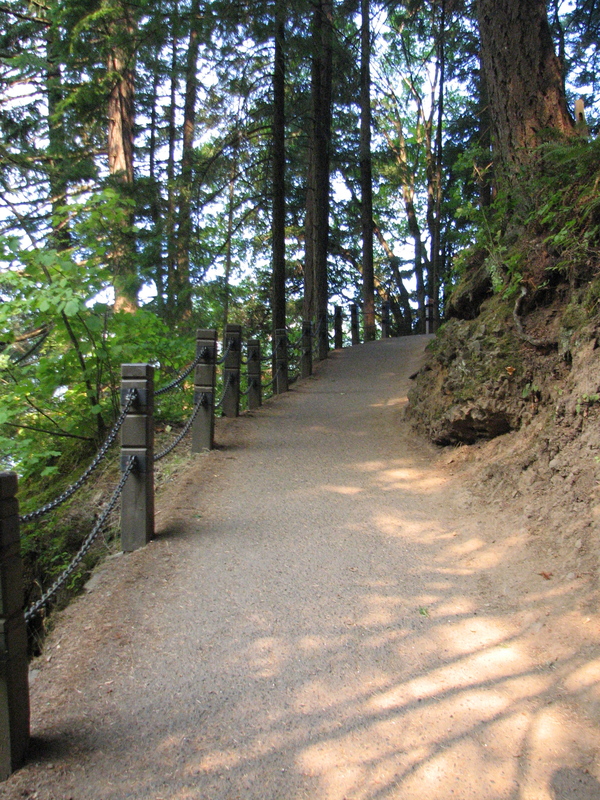 The trail steadily climbed upward. I was a tad worried about the trip back–going downhill on a strenuous hike…I was worried that my knees would not hold up like the last hike we’d gone on. I knew the longer we hiked, the more we had to go downhill. This was in the back of my mind for awhile. 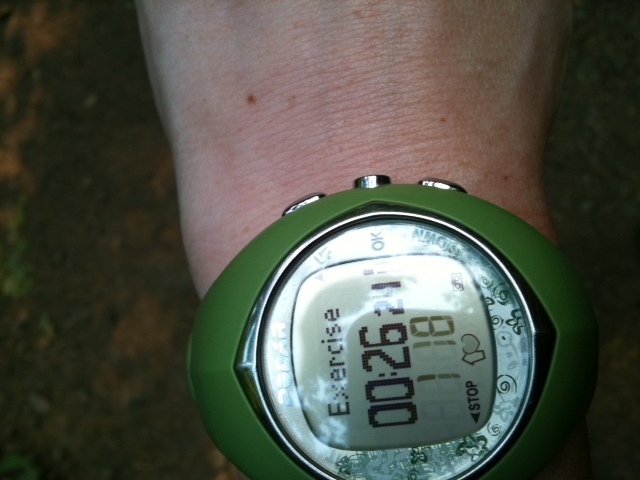 We didn’t have a lot of time to hike. We had a wedding in the early evening to go to so we hiked for about an hour and then stopped for lunch. We ate our sandwiches next to a waterfall. It was a nice little break. The temperature had gone down a bit out in the forest. I ate my peanut butter and jelly sandwich (on a sandwich thin) and then we decided to turn back down the trail. During the hike we both noticed had oddly colored the sunlight was. The sun glowed a very creepy red and cast a red hue on the trees and ground as we walked. It was rather spooky. Later I found out that there was a forest fire near Hood River and the smoke was what made the sun glow red. The trek back down the trail was just fine. My knees held up and did not cause any issues. I went slow, took my time and tried not to get sucked into the momentum of going down hill fast on a steep trail. We got down the trail in no time. The hike was gorgeous and I’m glad we finally got to check out Larch Mountain. 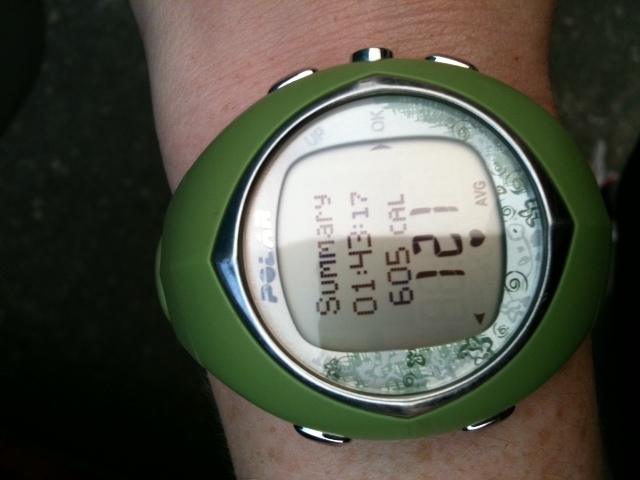 Someday when we have no time constraints I’d like to do it again and try to do the full 7 miles. We had enough time to drive back to the city and get cleaned up before the wedding! QUESTION: What’s your favorite NON-gym physical activity to do? My favorite is beach running. I love to walk on the beach at low tide, where the sand is smooth and condensed and run barefoot as far as I can. Then I can cool off in the ocean. Jane Cartelli recently posted..Do You Think What You Say? I’ve always wanted to try beach running but haven’t. Someday! Too many tomatoes? Lucky! I would just make a giant batch of pasta sauce – cook tomatoes down with garlic, olive oil and fresh basil – no need to can just put in a freezer zip top bag – I usually use 2 cups per bag, squeeze the air out and lay them flat on top of each other. Biz recently posted..My Bizzy Kitchen Turns Three! Do I chop up the tomatoes into small pieces? What a beautiful hike! I love waterfalls. My favorite non gym activity is obviously biking. I prefer it above anything else. Lori recently posted..Return of the cupcake ride! If you ever make it out here, I’ll take you on some hikes you’ll love. Biking is quickly becoming my new favorite non-gym activity. Looks gorgeous! And I can’t believe people go there in high heels. Sheesh! 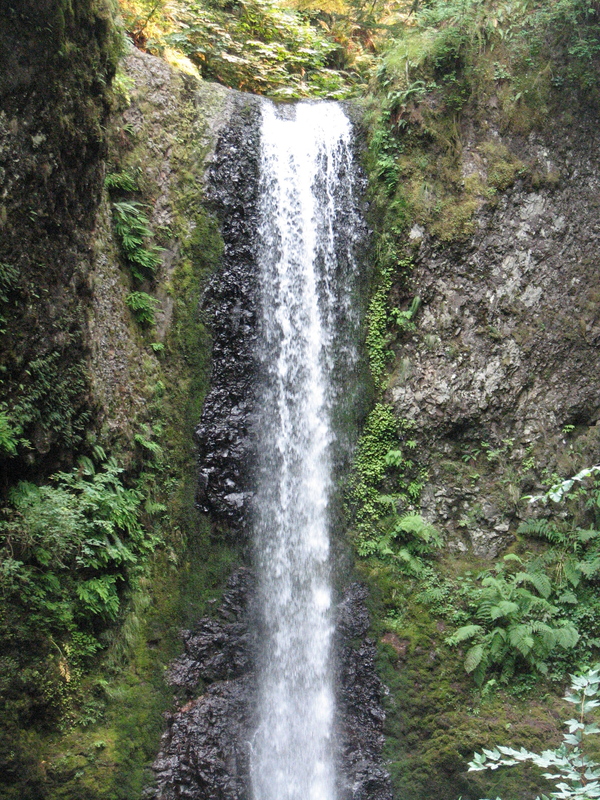 You would be amazed at what you see at Multnomah Falls. It’s ridiculous! some of my brothers were there on Saturday too! You picked smart. I could use a Full Sail…. I love hiking and definitely don’t feel like I got enough of it in this summer. I didn’t do enough hiking either. Usually we do a lot in the summer but we were both kind of consumed with biking!